The Berkeley Anthropology Undergraduate Association presents a critical discussion of ongoing University of California issues such as budget, salary, and funding transparency and negotiations; student protests and administrative response; corporate and private interest involvement on campus; faculty, employee, and student unions’/associations’ interests; curriculum standards and canons of knowledge; and academic freedom. 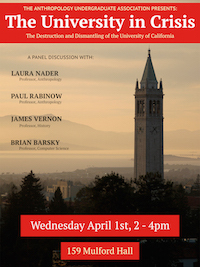 UCB Faculty Panelists: Laura Nader, Professor, Department of Anthropology; Paul Rabinow, Professor, Department of Anthropology; Brian Barsky, Professor, Department of Electrical Engineering and Computer Sciences; James Vernon, Professor, Department of History. James Vernon, with Colleen Lye and Christopher Newfield, edited the 2011 Representations special issue The Humanities and the Crisis of the Public University. Listen, good friend! This edition was begun at Edinburgh a short while ago, but was at once suppressed by our printers. After a time, with the consent of the printers of Edinburgh, it was continued at London, and finally completed at Oxford; and now, such as it is, it makes its fifth appearance in public. If the beginning does not match the end, nor the middle part either of them by reason of the numerous blunders and omissions, whom will you blame? The corrector, the printer, this man or that, or every one who has had a hand in it? As far as I am concerned, you may blame any one of them you like,—or the whole lot. Meanwhile I, the author, who have been almost cast on one side by them, am subjected to these worries, and pay the penalty for their waywardness. At their whim I am first drowned in the deep, and then caught up again and brought upon the scene, fastened to doors and posts, and exposed for any one to buy. But methinks I had better remember Harpocrates, lest I say anything too harsh against these my masters. For all my anger I keep myself in check, and,—what better—correct their faults and blunders thus. After four editions that identify their printers, the fifth does not name one. It was, as E. G. Duff puts it, “nobody’s child,” printed in parts in Edinburgh, Oxford, and London that were then collected and put together in Oxford. The details of what led to this arrangement are unknown and subject to a good deal of speculation: Duff suggests they involve the effort of Henry Cripps, half-owner of the book’s copyright, to bring Robert Young, Scot and piratical printer, to heel. Burton describes the broadside title pages posted by the bookseller around town as if they are his body—a literalization that makes more sense when we remember that from the third edition (1628) onward, the title page included a likeness of Burton as “Democritus Junior.” As we shall see, this paratextual scene in which the author is rescued from the oblivion of Lethean waters only to be publicly affixed to doors and posts (“auctor . . . portis & postibus affixus”) corresponds to the moments in the text proper where he identifies publication with a series of humiliating punishments wrought on his passionate body. As the richness of these protestations demonstrates, Burton accepts and even embraces the punishment of print publication, for it provides the means by which he hopes to cure his melancholic readers. In printed pages of the Anatomy, Burton enacts what might be called a eucharistic fantasy in which his body is distributed and then consumed by distant readers who are transformed from within. 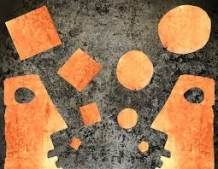 Paradoxically, this amplifying effort brings the author both fame and oblivion: while print allows him to communicate to a multitude of readers distant from him in time and space, the nature of the print market is such that ever-increasing amounts of printed materials ensure that his effort will soon be buried under piles of new publications. On one level, then, the press makes eucharistic amplification available to human authors for the first time. On another level, however, the press’s amplified product is a commodity bound for market. The author’s feeling of enlarged distributivity is only temporary: soon he will be forgotten, replaced by newer products—unless, of course, he is resurrected in the form of a new edition. These passionate scenes of authorial display, often dismissed by critics as characteristic bits of Burtonian excess or even fun, testify to the remarkable historical period in which The Anatomy of Melancholy circulated. During the long transitional period between the small print runs of the incunabula and the rise of the corporately authored newspaper in the early eighteenth century, authors turned to the Eucharist—Christ’s chosen means for communicating his bodily presence to believers separated from him in time and space—as they sought to conceptualize their mechanical amplification through the press. Because the Eucharist has often been parsed for its doctrinal content, especially since the reformation, its original status as a medium of communication tends to be overlooked. For Burton, along with a number of other important English authors, the Eucharist offers a way to think through the still novel feeling of being amplified “in print.” Doubly Christological, the author’s dissemination in type involves suffering and fame in equal measure. CHRISTOPHER MEAD is a PhD candidate in English at the University of California, Berkeley, where he is currently completely his dissertation, “Mass Communication: Eucharistic Authorship in Early Modern England.” His research interests include the history of technology and the relationship between religion and literature. In conjunction with the premiere of the opera Death with Interruptions, co-created by Representations founding editor Thomas Laqueur, two free public discussions will be held at UC Berkeley. Based on Nobel Prize winner José Saramago’s novel of the same name, Death with Interruptions features music composed by Kurt Rohde and a libretto by Laqueur. 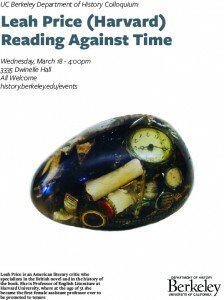 On Wednesday, March 18, longtime Saramago translator Margaret Jull Costa will join in discussion of the opera with Dennis Washburn (Jane and Raphael Bernstein Professor in Asian Studies and Chair of Comparative Literature at Dartmouth and translator of the forthcoming Norton edition of Tale of Genji), Robert Alter (Class of 1937 Professor of Hebrew and Comparative Literature at UC Berkeley and translator of Genesis and The Five Books of Moses), and Paula Varsano (Associate Professor of East Asian Languages and Cultures at UC Berkeley and translator of premodern Chinese poetry). The event will take place from 5:00-7:00 pm in Room 308A in the Doe Library. On Thursday, March 19, Representations editorial board co-chair Mary Ann Smart leads a discussion of the opera with Laqueur, Kurt Rohde (Professor of Music at UC Davis), Majel Connery (Mellon Postdoctoral Fellow and Visiting Assistant Professor in the Department of Music at UC Berkeley and co-founder and executive director of Opera Cabal), and Shalom Goldman (Professor of Religious Studies and Middle Eastern Studies at Duke University). The event will take place from noon to 2:00 pm in 3335 Dwinelle Hall. Ticketing information for the San Francisco performances at ODC Theater on March 19 and March 21 can be found on the Left Coast Ensemble’s website. A free noon concert will be offered Monday, March 16 at UC Berkeley in Hertz Hall. Please see the event listing for more information. 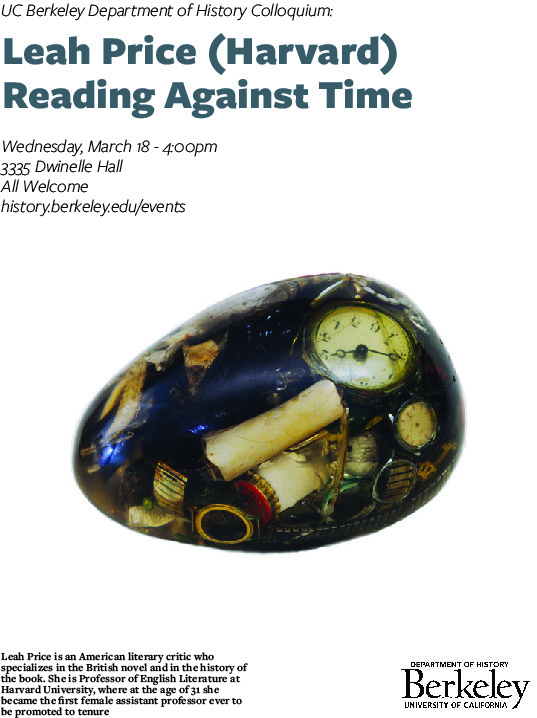 Leah Price, Francis Lee Higginson Professor of English at Harvard University, will present a talk at UC Berkeley entitled “Reading Against Time” The event will take place on Wednesday, March 18 at 4:00pm in 3335 Dwinelle Hall. Price’s article, “From The History of a Book to a “History of the Book” appeared as part of the Representations 108 special issue on “Surface Reading” (Fall 2009). More recently, she contributed a response to the “Search” Special Forum, available in Representations 127 (Summer 2014).